Despite conditions in Australia’s major CBD office markets remaining positive during October, there is significant variation in office development activity across Australia's largest office markets. While Sydney and Melbourne office markets are performing strongly, the significant variation in office development activity will drive the largest divergence in market conditions since the late '90s, according to Investa's October 2017 Office Market Report. Office development in both the Sydney and Melbourne CBD markets are responding to prevailing tight leasing conditions. However, the magnitude of development in Melbourne will present it with the challenge of absorbing the equivalent of almost two-and-a-half times Sydney’s International Towers at Barangaroo from 2019-2022. [Related reading: Sydney And Melbourne Office Space in Demand: Colliers; Brisbane Office Market Forecast for Growth]Investa head of research David Cannington said a positive economic outlook will continue to support solid underlying demand for office space in the coming years, however Australia’s office market conditions have historically ebbed and flowed on development cycles. "Favourable prevailing conditions in both Sydney and Melbourne’s office markets are driving strong rental growth and capital returns. This year saw leasing market momentum synchronise across Australia’s big four CBD office markets for the first time since the mining investment downturn of 2012. Largely reflecting benign supply of new office space, vacancy rates are trending lower in Sydney, Melbourne, Brisbane and Perth. While early-cycle office development activity is being activated in Brisbane, office leasing markets in both Brisbane and Perth are expected to improve on a weak near-term supply outlook. In the wake of the mining investment downturn, office tenant expansion and relocation is seeing a "flight to quality" in Brisbane and Perth. 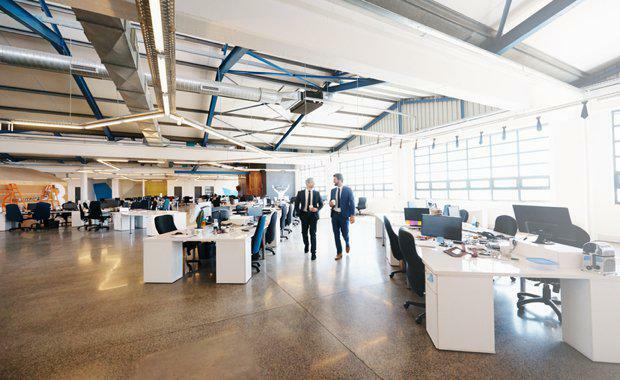 The report outlined that the increase in office supply will go some way to easing the affordability pressure of rental growth on office tenants. Sydney and Melbourne office rents have increased sharply over the past two years reflecting strong office market conditions -- reporting an almost 20 per cent rise. In the coming cycle, diverging office market conditions will drive variable rental affordability, which is likely to factor in some tenants leasing decisions. “We expect underlying demand for prime office space in Sydney CBD will remain strong for the next 5-10 years," Cannington said. "However, limited supply combined with tight affordability could influence some tenants to consider locating in comparable markets where a Sydney CBD move may not ‘stack up’. Limited supply could provide a boost to office absorption in markets such as North Sydney, Melbourne CBD and Brisbane CBD.